The Devon Rex is a relatively young breed. It was first recognized by the ACFA in 1972, then in CFA and TICA in 1979. They originated in Devonshire, England, in the late 1950s when a Miss Beryl Cox found that a stray cat in her care had given birth to a rather odd looking curly-haired kitten. 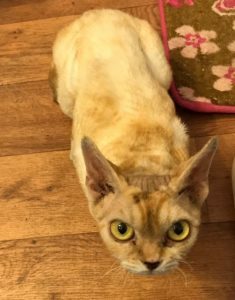 Lucky for us, she knew enough to breed this cat back to others and was able to create more curly kitties, starting a new breed of cat from a natural mutation, the Devon Rex. In the 1980s, young Anita White and her mother Marion were in England, as Marion’s husband was serving at a base there. 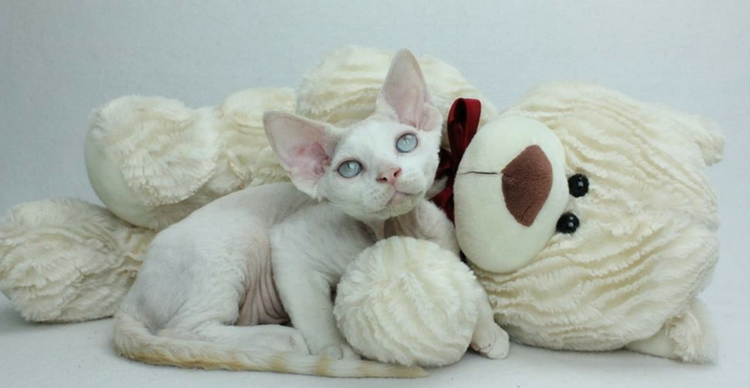 Marion and Anita brought several home to start an American breeding program for the Devon Rex. 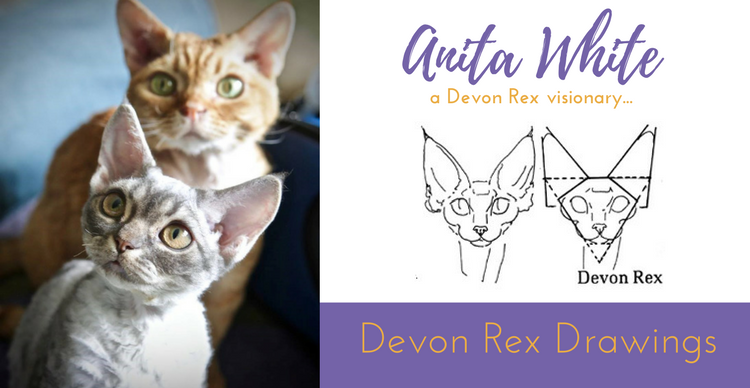 Anita was also an artist – and we have her to thank for the current look of the Devon Rex. She drew the outlines for the current Devon Rex breed standard. She helped breeders to understand the correct look of the face, placement of the ears, and helped breeders by giving a visual representation of the desired standard. Anita’s drawings are still used to guide us as to how the Devon Rex should look. The Judge’s training for the breed presentation in CFA credits Anita for capturing the ideal Devon look. These drawings were part of the original Planet Devon in approximately 2001. We are happy to return them to the current Planet Devon. As best we can determine, these drawings first appeared in an article by Ann Gibney, “Why There Are Two” about the differences between the Cornish and the Devon. 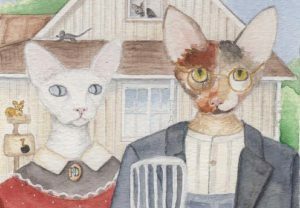 Thank you to Anita White for using her talent to help define one of our favorite breeds of cat! Take a look at our Devon Rex Drawings page. Devon and her pal need a home! Jofee and Jamie! 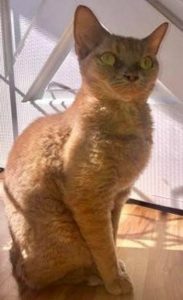 Currently homed in Northern California with her current owner: A wonderful Devon and her Bobtailed friend need your love! 2 young cats, bonded, healthy and sweet as can be! 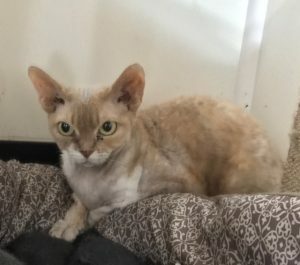 Jofee is a rare 3 year old Devon Rex girl (lavender cream coloring) who will charm you with her impish looks, her super social nature, her petite frame and her true to the breed and thus much beloved purrsonality. Just look at the pictures of this little pixie. 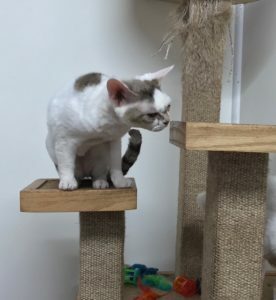 As the Yin to Jofee’s Yan, Jamie is an extremely sweet, easy going and absolutely adorable 4 year old Japanese Bobtail. They are so well suited for each other that they absolutely must be adopted together, no exceptions. Just look at their pictures and the video and you know that nothing should ever separate these two peas in a pod. The two are paired so need to go together. Devons often need a pal or partner, do if you are looking for a Devon, this might be the perfect pair for you! Share the information with someone you know who is looking! Posted in Pedigreed Cats, RescueLeave a Comment on Devon and her pal need a home! Jofee and Jamie! What are your plans for the weekend? How about attending a cat show? At a cat show each cat is placed in the ring, in an individual cage. The Judge takes the cats and kittens out, one at a time, and evaluated the head, coat, color, eyes and body of the cat, as measured against the standard for that breed. The cats then are awarded prizes based on the Judge’s decision. Each win adds points to the cats’ total for the year, and at the end of the year there are yearly award for the bests of each breed and category. Go see a cat show! It is an inexpensive way to have fun with the kids or friends, meet new and interesting people, and see cats you have never seen before! So where are the cat shows? 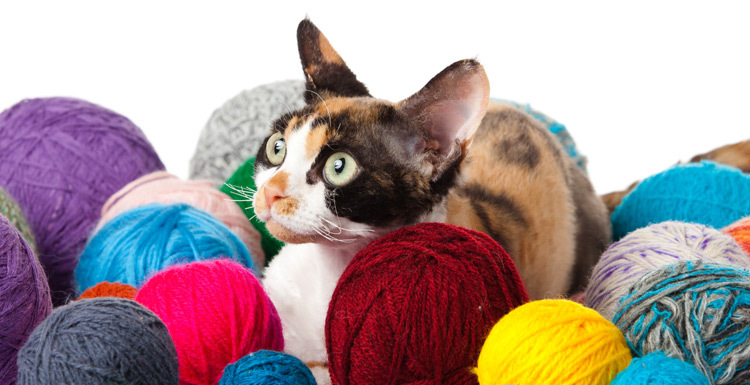 Here in Southern California, the Pet Expo is happening at the same time as the Kat Knappers’/Purr Pourri show at the Orange County Fair and Event Center. Learn more here. Or… The Santa Monica Cat Club is having a show in Pomona… details here. 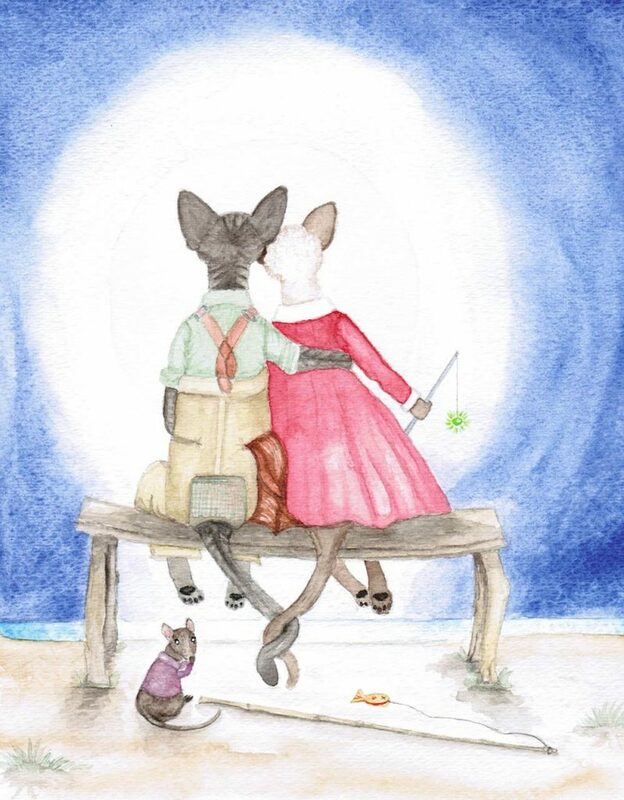 For the East Coasters… in Boston there is the BosCats show! Where? Here! Other shows around the world can be found at the TICA Show calendar. There are also shows in Medina Ohio, and Springfield, IL. Here’s the CFA Calendar. Find out why purebred cats might be a good choice for your family! Support the breeders who help strengthen the various and beautiful felines we love so much! It might sound simple or like it could ever happen…, but our loved fur-babies do, sometimes…, slip out the door! My own Bumper makes a game of slipping past me as I enter my home. Thankfully it’s just his little power play – he sniffs, looks at me then comes back inside. If you have found a pet, check for a microchip. Feel for a small hard bit, about the size of a grain of rice around the shoulder area of the animal. Most vets will assist by determining if there is a chip, and reading it if there is – Usually a chipped animal has a phone number contact as part of the info on that chip, and an owner or responsible breeder will respond. Of course the best solution is to make sure your pet is safe and secure. But isn’t it nice to know there are ways to help? Devon Heaven is next weekend. 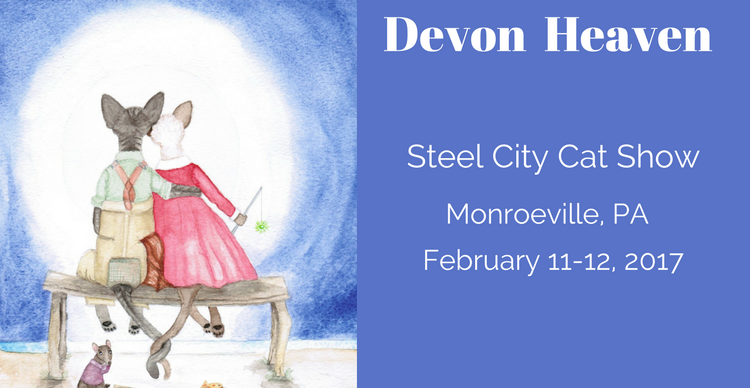 If you are near Monroeville PA, consider stopping by the show! Come on out to the Cat Show! 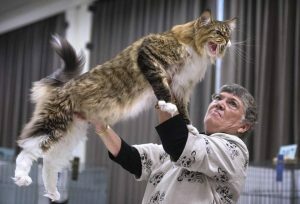 There are several great cat shows in December, from Oregon to Florida, Russia to China! It’s a great way to meet a few interesting cats (and their felines!) and spend an afternoon out of the house! Come on out to support your local cat clubs! Posted in Cat Owner Information, Cat Shows, Pedigreed CatsLeave a Comment on Come on out to the Cat Show! International CFA Show coming up! Are you in the Midwest? Interested in seeing some really cool cats? 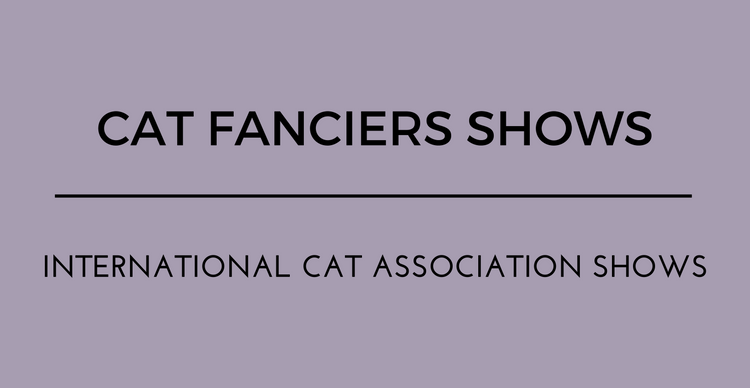 The Cat Fanciers’ International Cat show is coming up fast! The show is being held at the Suburban Collection Showplace, 46100 Grand River Ave in Novi, MI. Spectator hours are 8:30am until 5:00 pm on Saturday, November 19 and 8:30am until 4:00pm on Sunday, November 20. Tickets prices are $10 for adults, $8 for Seniors (65+), $5 for children 6-15, and children 5 and under are free. There is a $5 parking fee at the facility. If you click here, you can get a $1 discount coupon! 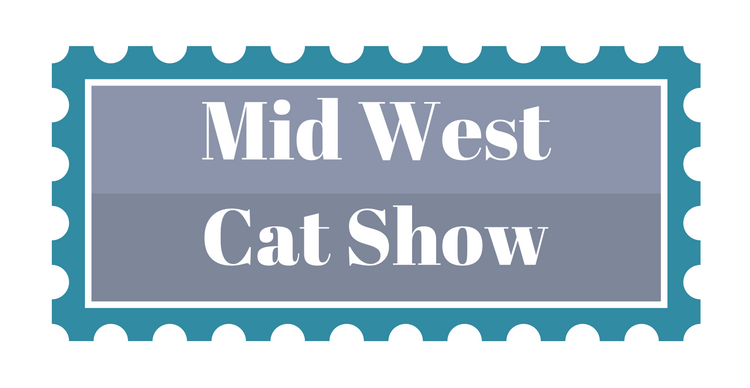 Cat show are a fun and interesting way to spend an afternoon, and the breeders love to see you there! Posted in Cat Owner Information, Cat Shows, Pedigreed CatsLeave a Comment on International CFA Show coming up! Why buy a pedigreed cat? 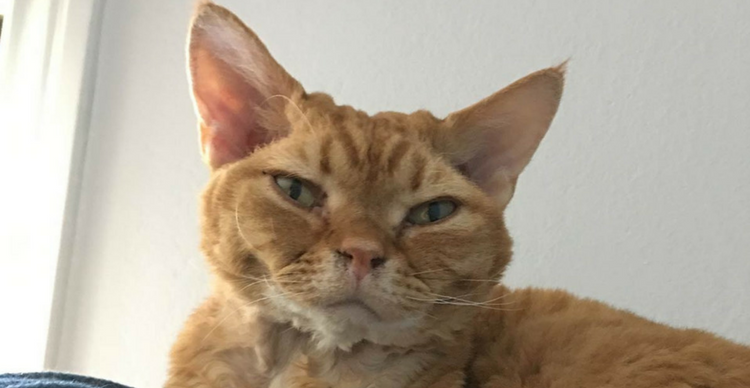 Posted in Cat Owner Information, Pedigreed Cats, UncategorizedTagged devon rex breeder, devon rex cat, Devon Rex kittenLeave a Comment on Why buy a pedigreed cat?